While I certainly have my own views on most issues, my addiction is primarily based on the fact that I find politics more entertaining than The Avengers. I know this is sad. 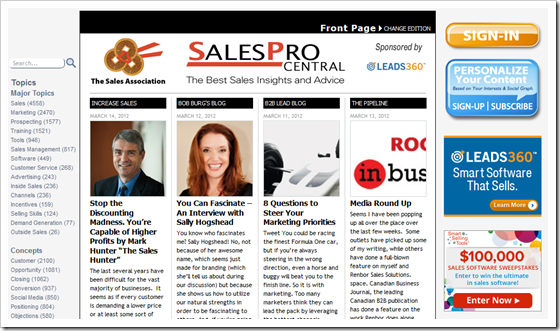 Sales Pro Central, a new site aggregating articles from some of the most read sales blogs launched earlier today. I was excited that Sales Addiction has been included in the charter list of featured blogs. Check it out at the link below and subscribe to keep updated on all the latest messaging from around the sales universe.